Join us for a super fun San Diego Paint Night August 10 from 6:30-9:00pm! Join the fun! Paint, drink, and eat with us! 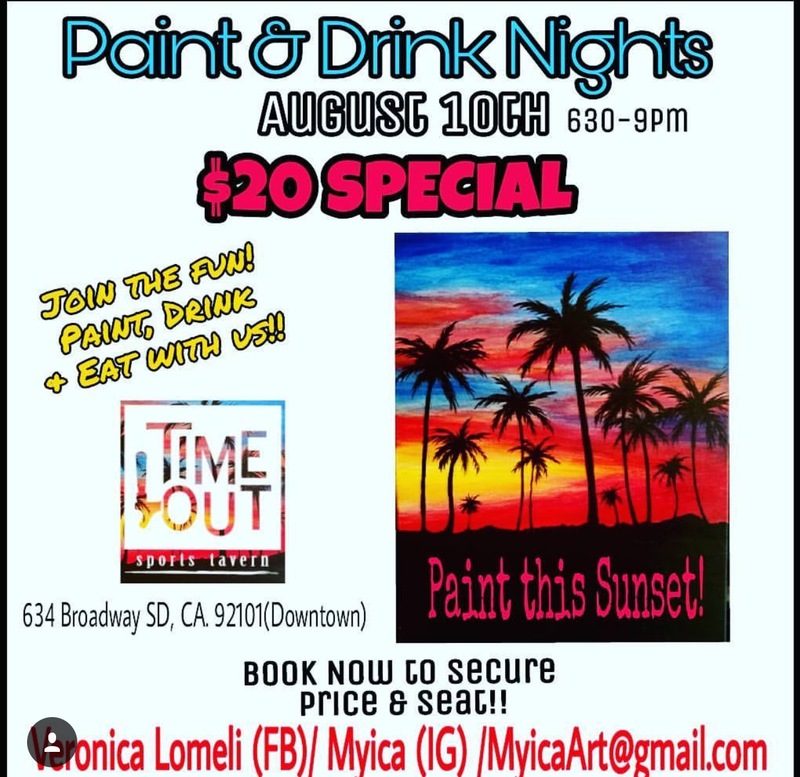 The class will be instructed by Veronica Lomeli, who is well known for her awesome paint nights! Book now to secure your seat by emailing myicaart@gmail.com! Right now you can get the class at a special price, just $20!!!! This is the perfect event for friends, families, coworkers, locals, tourists, etc! Come by yourself, bring a friend, or get a whole group together! Sign up today!!! !